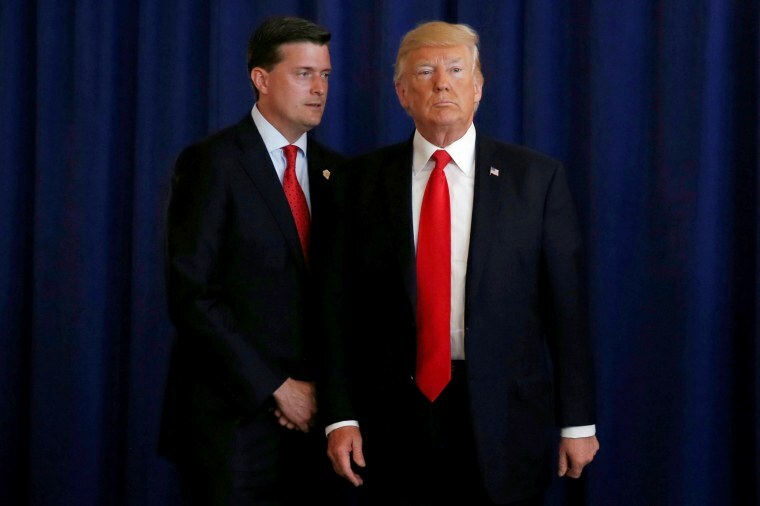 Suzanne Garment: The unending Rob Porter debacle highlights White House incompetence. And Trump's shrewdness. Suzanne Garment The unending Rob Porter debacle highlights White House incompetence. And Trump's shrewdness. Trump may figure that he can’t win by reminding people of his own connection to sexual violence. Why isn’t this over already? It’s been more than a week since the Daily Mail first published charges of spousal abuse against White House staff secretary Rob Porter. We’re in the #MeToo era, which insists that we pay attention to such reports. We’ve even got a photograph of the black eye Porter gave one of his ex-wives. Porter himself is gone. How did the White House get here? Two big reasons: First, the Porter scandal has focused a spotlight on White House incompetence. Second, Trump sees an opportunity in this mess to appeal to his base while keeping the focus off his own allegations. The White House can’t get rid of this scandal. In fact, despite Porter’s resignation, it’s getting worse. What’s baffling is that the White House had ample history to learn from. One notable example dates back 30 years to the Reagan White House, which faced a spousal abuse scandal much like Porter’s — involving high-profile official at the Securities and Exchange Commission John Fedders — and yet managed to emerge relatively unscathed. Fielding may have spoken to Fedders, but there was no further official action until The Wall Street Journal broke the story on Feb. 25, 1985. Like Porter’s scandal, Fedders’ had festered internally for months before it was exposed. Like Porter, Fedders claimed the abuse incidents were isolated. Like Porter, Fedders was defenestrated within days of the charges going public. However, the Reagan White House got over this rough ground quickly and moved on. In contrast, we’re all watching the Trump White House get further entangled in its own webs. This is not to say that officials didn’t make mistakes with Fedders. Even after the allegations were revealed, SEC Chairman John Shad said he wouldn’t ask for Fedders’ resignation: He had done his job well, Shadd explained, increasing agency enforcement actions by more than 50 percent. A White House spokesman also initially told a press briefing that Reagan wouldn’t act while there was a possibility of reconciliation. (There wasn’t). And yet, Fedders resigned within a day of the Journal story. So while Fielding was criticized for having let the scandal drag on, the White House was able to shift gears quickly when the story broke. The administration knew what to do: There were no mixed-up stories, no finger-pointing. The damage to the White House was contained. The Porter scandal is already different. The Trump administration would have had a higher hill to climb, even if it had behaved impeccably. But the Trump administration didn’t do that. Compare: Fielding, if slow to act, was also the very definition of an old Washington hand. He had been deputy White House counsel under John Dean during Watergate — and escaped with his professional life. After being Reagan’s counsel, he would do the same job for President George W. Bush. Fielding is known for having an acutely sensitive political ear. John Kelly is not. The former general was damaged goods even before the Porter crisis after his comments criticizing Rep. Frederica Wilson. And as Kelly stumbles, the rest of Trump’s staff seems unwilling or unable to pick up the slack. White House Communications Director Hope Hicks, the co-drafter of Kelly’s initial public praise of Porter, is — or was — also Porter’s girlfriend. The 29-year-old, who formerly worked for Ivanka Trump’s fashion label, is a daily reminder that this White House relies on people whom other administrations would have deemed clearly unqualified. This chaos all came to a head on Feb. 14, when FBI director Christopher Wray publicly contradicted the White House time-line, laying out who knew what about Porter and when they knew it. Then there’s Trump himself. Where the White House’s response hinted at a widespread incompetence, the president’s betrayed a shrewd political instinct. Initially, the president steered clear of the scandal. Then, once Porter was gone, Trump delivered his breathtaking victim-free speech about the former staff secretary: It’s a “tough time” for him” Trump said, emphasizing that Porter had claimed “very strongly” that he was innocent. The president concluded by wishing his former employee well and hoping he had a “wonderful career” going forward. Peoples lives are being shattered and destroyed by a mere allegation. Some are true and some are false. Some are old and some are new. There is no recovery for someone falsely accused - life and career are gone. Is there no such thing any longer as Due Process? But it did have to be said, and Trump barely said it. Trump may figure that he can’t win by reminding people of his own connection to sexual violence. He seems sure, though, that this is yet another issue on which his supporters can be mobilized against smug, self-satisfied, politically correct elitists. It’s a clear signal to the troops. And there are signs that at least some of them have heard him. 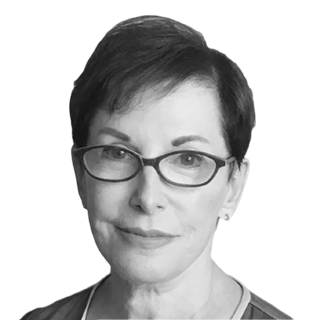 Suzanne Garment, a lawyer, is the author of “Scandal: The Culture of Mistrust in American Politics.” Her husband Leonard Garment was acting special counsel to President Richard Nixon for the last two years of his presidency.